I recently made an interview about the Iranian industrial- & ambient scene, which I think was an interesting and informative read. It give me the idea to get in touch with Cedrik Fermont who I had the opportunity to meet years ago now in Belgium. I’ve been fascinated by this artist’s quest and efforts to discover unknown underground scenes in the most unexpected countries on earth. This is a real informative and fascinating read, which I highly recommend… and don’t hesitate to share with other music lovers. Q: For all of those who are not familiar with you, can you please briefly introduce yourself by evoking the main facts of your career and projects you’ve been involved with? C-drik: I’m a composer, musician, label manager, radio host, author, concert organiser from the DR Congo who mostly grew up in Belgium, now based in Berlin. I’ve been involved in the noise, industrial and alternative electronic scene since 1989 with projects like Crno Klank, Axiome, Ambre, Tetra Plok, Tasjiil Moujahed, Moonsanto to name a few. Labels such as Ant-Zen, Ad Noiseam, Hushush to speak about the main ones have published some of my records. I run Syrphe which is not only a label but what I call a platform that publishes mostly CD’s and that I use to host a radio show, organise concerts and sometimes music documentary films screenings and now and then publish news on a blog/magazine. Syrphe’s main but not exclusive focus is to promote artists from Asia and Africa and at a lower extend from Latin America who compose so-called experimental music, electronica, noise, ambient, free improv, industrial and so on. Q: Years ago now you got interested in electro/industrial/noise music from ‘other’ countries and places on earth. How did you get in touch with these scenes and what are the main differences with the familiar European- and American scenes? C-drik: It started in the late 1980s. I took part of the DIY tape network and could not believe there were only artists in Western Europe, North America and Australia involved in this scene. So while swapping tapes, I started to print and spread some flyers explaining I was looking for electronic, noise, industrial and experimental artists all over the planet. I slowly got in touch with people in Brazil (Cri Du Chat Disques, Simbolo), in South Africa (Network 77, Sphinx), in Japan (K2, Yximalloo, etc.) and also discovered more from the Polish, Czechoslovak, East German, Yugoslavian and Soviet scenes that were also a bit out of the usual circuit due to the political problems between the so-called East and West and in many of those countries, repression and censorship too. I then published a cassette in 1996 that included various artists from South Africa, Chile, Brazil, Malta, Japan, Lithuania, Poland, Belgium, Australia, and so on – 25 countries in total. That was quite an achievement for me back then without the internet. Nevertheless many people were still convinced that I would find nothing in many Asian and African countries so as soon as I got the opportunity, I started to travel and contact local people to perform. Thanks to the internet it became easier, in particular thanks to some forums, newsgroups and peer-to-peer networks like Soulseek, some of those internet platforms’ members were from China or Thailand for example. In 2003, I played in Istanbul and met some artists there and came back with a few tapes and CDr’s. 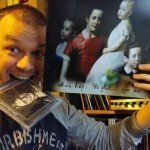 In 2004, I performed in Bangkok and in January 2005 I started a six months tour in Laos, Vietnam, China, Singapore, Malaysia, Thailand, South Korea, I performed at all sorts of events from harsh noise to breakcore parties, industrial, crust punk, grindcore and came back with about 70 CD’s, cassettes and vinyls, I had a definitive proof that there where things happening there; I then continued to tour in many other countries like Algeria, Morocco, Lebanon, Bangladesh, Indonesia, the Philippines, Macau, Myanmar, India and so on to perform, archive, meet local artists and organisers and since 2007 I published various compilations that include artists from those countries, the last one coming along with our book “Not Your World Music: Noise In South East Asia”. I think that there are more similarities than differences to be found, nonetheless in the case of Indonesia for example, people are not afraid to mix various scenes at an event: you may easily find some industrial, breakcore, punk, harsh noise and indie rock bands all performing one night at the same venue, it used to be so in Singapore and Malaysia too in the past. Another example that I find interesting is the case of China where more than once it happen that some people came to me to tell that they had never heard such music before, they came out of curiosity seeing a foreigner was playing and they usually didn’t run away, they tried to understand what I did and maybe why I did it, they are not jaded or totally closed-minded such as too many people can be in some other parts of the world. Another difference is that while some scenes can be incredibly active, like the noise scene in Indonesia, some other scenes are almost non-existent: EBM and electro (I speak about the Detroit techno style) have never been widespread outside of Europe, the Americas and Australia. You can or could only find a handful of them in Japan, South Africa, China and Israel, even though it’s not totally unknown to other parts of Asia above all, culturally speaking, EBM and electro seem to really belong to a certain ‘Western’ identity, I can’t explain why. In South East Asia, besides noise music, punk, grindcore, noisegrind and metal are incredibly active scenes too, I really think and I’m not the only one, that the most vivid punk and related genres scene on Earth is in Indonesia. Q: I knew there was an underground scene in some Asian countries, but what about Africa? C-drik: For Africa, I often see it divided in two very distinct parts: the North African scene in Morocco, Tunisia, Egypt and in a much smaller scale Algeria which are all interconnected countries, also together with Asian neighbours like Palestine, Lebanon and a few other Middle Eastern countries due to their common roots (languages and culture, religion). And the second part, the Sub-Saharan one which is not a especially a united part due to the size of the continent, variety of cultures and scarcity of musicians and composers in the field of underground electronic and experimental music. So you can find artists in major cities like Casablanca, Rabat, Tunis, Alexandria, Cairo, Algiers I the North. The proximity of Europe, the continuous contact with the ex-colonisers and as previously mentioned, the contact with other Arab countries and the slightly better living standard level makes it easier for a scene to emerge. As for the rest of Africa, there are only few artists, often from the middle or upper class who are active with the exception of South Africa that has a very different context, partly due to the past apartheid time. That doesn’t mean that electronic music doesn’t exist at a large scale in Africa but it’s often more mainstream or closer to a certain tradition and then mostly not connected to experimental or industrial for example. You can of course find many genres such as kuduro, kwaito, hip hop, shangaan electro, psy trance, etc. 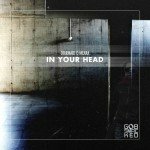 And as early as the 1970’s artists like Francis Bebey in Cameroon, William Onyeabor in Nigeria, Mammane Sanni Abdoulaye in Niger already performed some amazing electronic music, afro-beat for one; electro-funk, disco for another, minimal electronic for the latest, you can find a small goth/EBM scene in South Africa, there was ten years ago Syndrome-Corps, a dark-wave band in Senegal, in Cameroon today, Elsa M’bala also composes ambient, electronica mixed with field recordings, Kwerk in Mauritius composes some nice electronica too and a few artists from the Réunion island do play dark-wave or avant-garde/collage – some leave abroad by now as their future is not always very bright over there. It has to be said that one of the pioneers of experimental and electro-acoustic music comes from Egypt: Halim El-Dabh composed his first piece already in 1944, four years before Pierre Schaeffer’s musique concrète. Q: When we are talking about a ‘scene’ I’m still thinking of labels, magazines, radio broadcastings, festivals, clubs, promoters etc… Is it a common element everywhere? C-drik: When there is a scene, yes of course, but in some cities or countries there are just a handle of people here and there like in Cameroon, Nigeria, Angola, Algeria, Myanmar, Uzbekistan, Iraq, etc., so I would not call it a scene. In countries like China, Indonesia, Lebanon (in Beirut, mostly), Vietnam, the Philippines, Hong Kong or Egypt for example, we can speak about a scene. In those places, you’ll find one or more festivals dedicated to sound art, noise, free improv, audio-visual art and so on, regular promoters, some (or a lot) of venues, sometimes radio stations, fanzines, workshops, labels. Public (sometimes private) school, academies or universities also provide electro-acoustic, electronic and experimental music courses in China, South Korea, Japan, South Africa, Malaysia, Taiwan (…). Sometimes the scene can be international, this is the case of Border Movement, a network that interconnect artists from the local independent scenes in Dhaka, Kabul, Lahore, Karachi, Pune, Colombo, New Delhi and so on from hip hop to electronica, techno, ambient and even experimental music. Q: I can imagine there’s a link between underground music and the political regime of a country; I mean that some artists living in a totalitarian-minded regime are taking serious risks by dealing with this kind of music. What is it all about and what about censorship in some countries? C-drik: Indeed this kind of music and other genres such as hip hop, punk, metal, oi or grindcore may be restricted, put under scrutiny or simply forbidden in some places but no need to go so far, not so long ago did England forbid parties (hear: raves) with repetitive beat (The Criminal Justice and Public Order Act 1994) for example and mainstream media in the West who are promoting only commercial idiotic music are somehow censoring other artists too. It is obvious that during the Taliban regime in Afghanistan for example, any musician could be jailed, beaten up or killed, religious extremists in some countries do their best to ban alternative music events, Myanmar (Burma) until a few years ago banned music containing western influences, hence some musicians especially in the field of punk and hip hop as they can be political have been jailed, the same apply with Iran, Vietnam is still very suspicious regarding ‘modern’ music and art in general but in those last three countries, the situation has very well improved now, Nepal has during a long time also forbidden Western-influenced music. Nevertheless, the list is very long, including censorship in the Western world, I would invite you to visit http://freemuse.org/ to get a better idea. Q: I’ve in mind there’s no real trace of underground music in extremely poor countries like Burundi, Burkina Faso, Liberia… or is it maybe for a very restricted number of people like the elite? C-drik: In some countries, not only those you mention, it is obviously an elite (upper class or middle class people when there is a middle class), in Burkina Faso, you can find the Afro-electro-pop band Burkina Electric, in Nigeria apart of aforementioned William Onyeabor who composed in the 1970s and 1980s, you can currently find audio-visual and sound artist Emeka Ogboh, in Angola, Victor Gama (who moved to Europe). In extremely poor countries, people’s priority is obviously not often to try to experiment with sound (let’s put aside the technological aspect as one needs above all imagination, not technology to create experimental or new music) but I suspect that we are finding a small amount of them because it is not well documented in most parts of Africa. Some friends who travelled a lot in Africa or lived in some western African countries heard some people experimenting in the street with tape for example but if nothing is archived and spread, only those who bump, sometimes by accident, on those artists can speak about them. A lot of work has still to be done to discover more from Africa. Also, I realised that in some other parts of the world and this concerns many African countries, living under dictatorship or deep social inequality, the underground tends to be political and musically more accessible to reach a larger audience and gain more support, hence you can find a lot of hip hop, in some countries radical movement may emerge too like political death metal in Angola and Mozambique or a small punk and goth scene in Kenya, punk in South Africa has also always been political, since the 1970’s. Q: In your recently published book “Not Your World Music / Noise In South-East Asia” you tried to explain what noise-music is all about. I’ve been always interested in the question: ‘is noise really music or is music not the result of noises’ and what do you think about some pioneers in industrial music talking about ‘anti-music’? C-drik: Noise pleases my ears and emotionally attracts me hence it is music to me and it is intentionally produced to be listened to. Of course, it is hard to stick to one definition. If we stick to a simple definition of music: the art of assembling sounds, then noise music is music and not anti-music, to me, noise doesn’t destroy the concept of music, it is in any case a very subjective concept; in some societies, noises included in the music composition have never been seen as problematic while Western classical music until the late 19th century maybe sounded like a quest for purity and perfection – meanwhile, noises have been included in many compositions from Russolo to Stockhausen for example. I don’t agree with the anti-music concept, I’d rather call it anti-mainstream, above all since noise and industrial music became well established genres. I see the same problematic regarding anti-art, dada and all those who tried to break the rules of art ended up creating an art movement voluntary or not. Q: I’ve been impressed by your book, which is something unique characterized by an impressive research and knowledge. What’s the background of this book? C-drik: It is partly the result of a frustration and partly the result of many years of exploration, research, travels and discussions. It is a collaboration and this is an important fact about that book, it would neither exist without the work of Dimitri della Faille, nor would it exist without my part and the one of the people who met and interviewed. I think that all my researches, travels, explorations, publications and releases about Asian and Africa come from the fact that I am tired to always hear the same non-sense: ‘There’s nothing there’ or ‘We – the West – invented everything before them’ or ‘They just copy music from the West’, etc. It also comes from a questions I often asked myself while I was a teenager and young adult: ‘Why am I one of the few Africans in this scene?’. Dimitri and I with whom I co-wrote the book thought that we had to write it to finally have a real archive of South East Asian noise and experimental music as very very little has been written about it and nothing at such scale and we think we both had enough knowledge to make it happen and we are among the few persons who explored this region almost entirely, even though we don’t originate from there. It is also made to be a starting point; thanks to this book, we received many comments, mostly positive, not always – the book is not perfect, it is a first step and we hope it will push more local artists and organisers to speak about the scene(s), to write and archive or collaborate with each others as even between some of those countries, communication can be scarce or limited, now there is “Not Your World Music: Noise In South East Asia” and there is a database on Syrphe for many years, two important pillars I think.